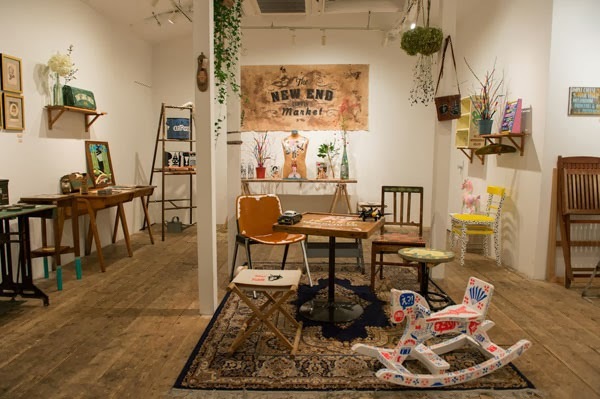 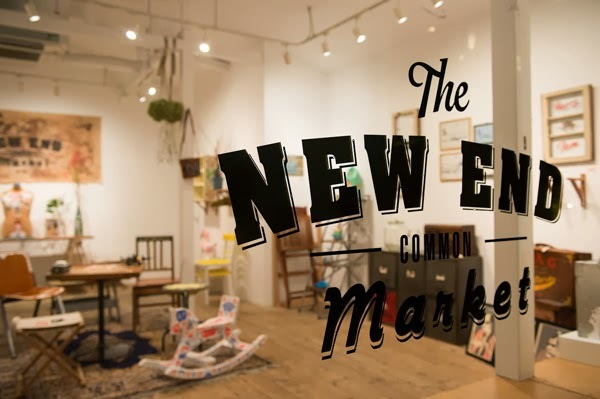 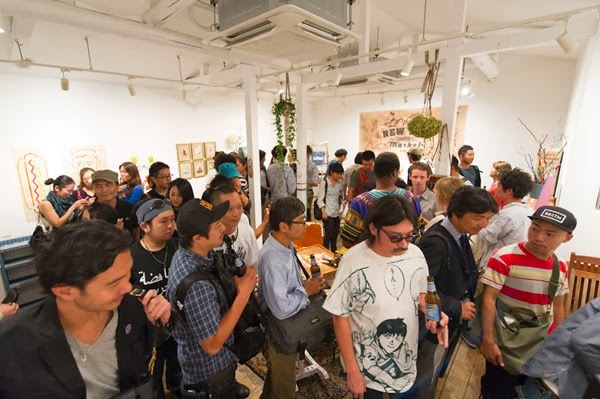 I was recently asked to contribute towards 'The New End Market' exhibition in Tokyo. 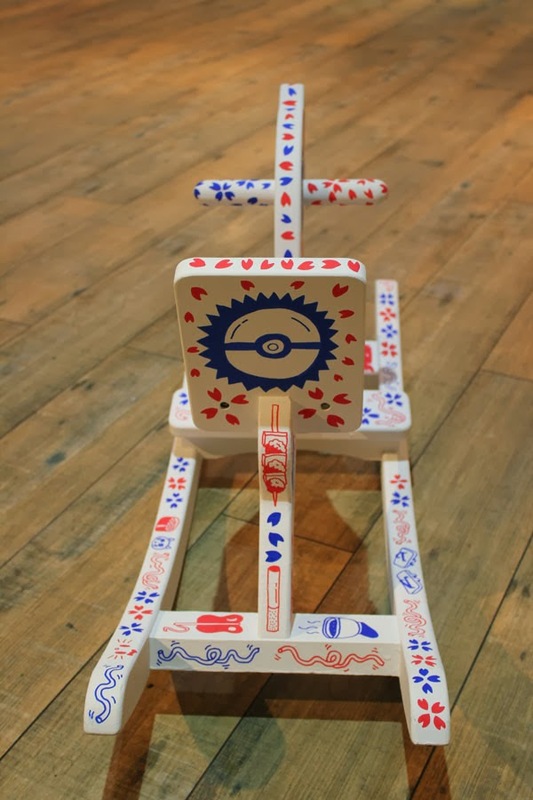 A group of illsutrators were each given an old toy, clothing or piece of furntiure and asked to rejuvenate it in any way they wanted. 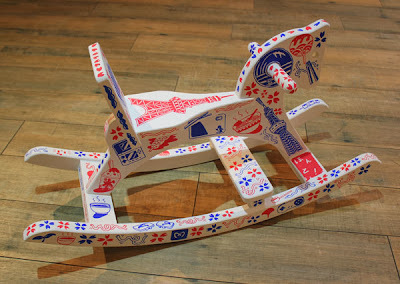 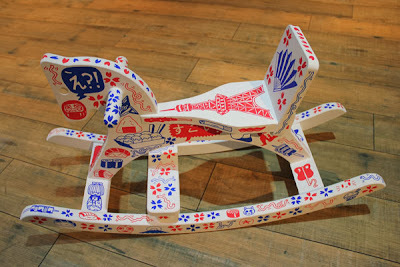 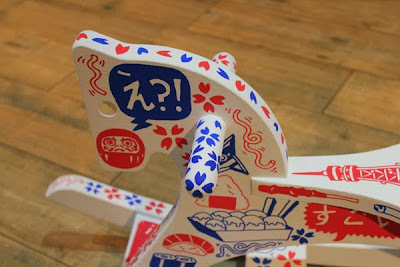 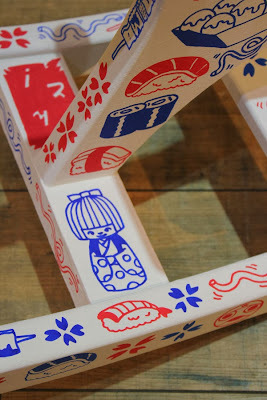 I was given an old, wooden rocking horse which I decided to paint white and cover in Japanese based illustrations.